The Commonwealth Observer Team is suggesting a number of recommendations following the January 25th general elections. In a 33-page report, the Team commended the Electoral Commission for the use of the National Identification Card and the Photo List in the polling stations, stating it was overwhelmed by the observation that the secrecy of the ballot was satisfactorily observed. It also commended the Returning Officers and the tally clerks for their diligent, efficient, and impartial manner during the count and stated categorically that on polling day, the previous allegations and charges of bias laid against the election apparatus proved to be unjustified. The Commonwealth Team also said it observed the professional and appropriate behaviour by the police and security services in their protection of the polling process and that the presence of police officers at the polling stations were there only to maintain order, and not in any intimidatory or partisan capacity. To further enhance the electoral process, the Commonwealth Team is suggesting that provision should be made to facilitate the widest possible consultation with political parties in the appointment of Election Commissioners and the Supervisor of Elections, to ensure confidence in their impartiality, provision should be made for the Supervisor of Elections to be a fulltime position, and for strengthening the Electoral Office, as well as exploring a system of complete re-registration. The Commonwealth said it recognises that considerable resources have been expended on the printing of the National Identification Card and that some may have to be reprinted for those voters who may be required to register in the constituency in which they reside. It may also entail the amendment of electoral Regulations to clarify and strengthen the residency requirements and if possible, registration could be undertaken in each constituency. It recommended again the need to finalise the redistribution of the electoral boundaries to ensure that each constituency contains as nearly equal number of inhabitants as practicable, in accordance with the Constitution and for a Code or regulations to be introduced to govern media coverage during an election period, to ensure balanced and fair presentation of issues, parties and candidates. 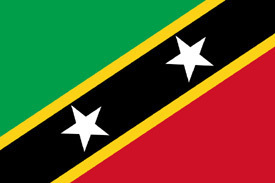 It suggested that St. Kitts and Nevis could draw on the assistance and resources of the Commonwealth Secretariat and relevant Commonwealth organisations in this regard. A further suggestion was that the Electoral Commission should look at the possibility of utilizing more than one voting booth in each polling station as a means of speeding the process of voting, pointing out that the expense of constructing booths could be minimised through the use of smaller cardboard screens which can be sourced regionally. It also suggested that the electoral authorities should examine the allocation of staff resources and the distribution of voters between polling stations, to avoid long queues and waiting times. The number of voters in each polling station could be limited to a certain maximum, such as 300 – 350. It noted that the practice of retaining the counterfoil on the ballot before it is delivered to the voter who returns it to the Presiding Officer for removal should be discontinued. The counterfoil should be retained by the Presiding Officer and the ballot paper separated by a perforated line. The practice of handing the ballot paper to the Presiding Officer for placement in the ballot box should also be discontinued and this step should be done by the voter after the digit is immersed in the electoral ink. It suggested the need for the introduction of campaign financing rules to ensure fairness and transparency and that consideration should be given to the effectiveness of the “campaign blackout” provisions and their interpretation, to ensure that the rules are clearly and consistently understood and the intention of the law is upheld. The Commonwealth said that the independent voter and civic education should be conducted by the electoral authorities, potentially in cooperation with non-government organisations, churches and schools, to help raise awareness of the importance of transparent and accountable democratic processes. It is also suggested that political parties and civil society groups should consider how women may be encouraged to run for parliament in greater numbers, including if necessary promoting changes in campaign practices to increase gender sensitivity. “This is an area where the Commonwealth Secretariat could be approached for advice and assistance,” said the Report. It further stated that the role of civil society organisations in the democratic process should be further strengthened, including the possibility of continuing and expanding the deployment of domestic observers in future elections. It stated that the Commonwealth Secretariat and Commonwealth organisations should be prepared to consider favourably requests for advice and assistance to facilitate the implementation of the recommendations.